Join us with Virtual Newsmakers on Saturday, May 28th at 11:00am for a YouTube Livestream on cloud computing. 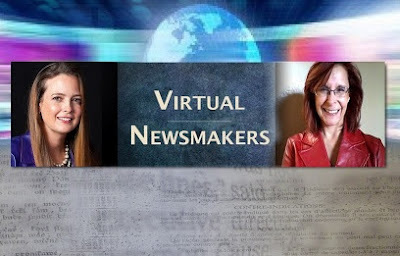 Virtual Newsmakers is a webcast show featuring virtual newsmakers, who are bridging traditional and digital communications and empowering human communications through technology. The show highlights people who are using technology as a conversation to bring communications to a human level and who are making things happen between traditional and digital communications. Some of the aspects of the show will be to bridge alternate communications media (digital and traditional), create a new vocabulary, and bring the world together with human interactions. On this weekend's show, I will discuss how network management in the cloud can help you enhance your business. We will address the global and parallel nature of cloud and the importance of this new business model to human communications. UPDATE: Just finished a GREAT stream! !